24oz. (750ml.) 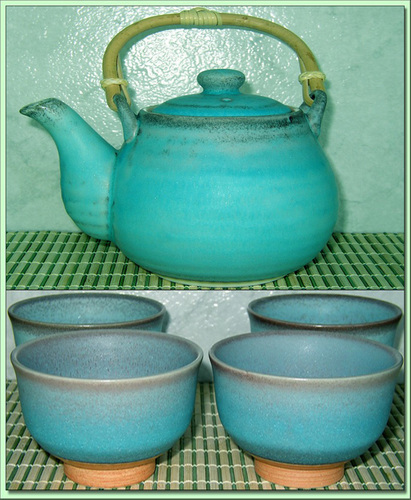 An attractive 4 cup set set in a variety of sky and powder blues with darker blue linear highlights. Featuring built-in Sasame filter. Teapot is 24oz. / 750ml. Cups are 6oz. / 175 ml.